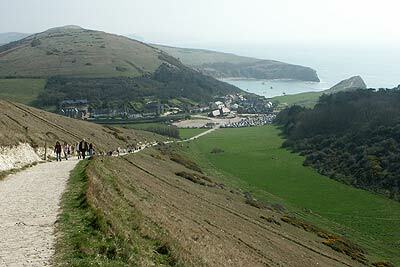 The Dorset walk starts from Lulworth and follows the South West Coast Path past Durdle Door to White Nothe. The white cliffs on this section are outstanding. The return follows pleasant country paths across undulating downland.